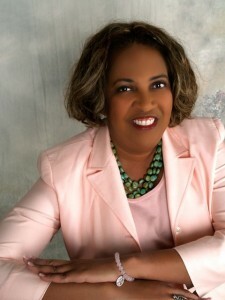 Denise Meridith, a New York City native, is a communications and business executive with private and public sector accomplishments. She possesses a nationwide reputation. She served as an executive with the Bureau of Land Management for 20+ years, rising to the position of highest-ranked career professional, as the Deputy Director with 10,000 employees, 200 offices and $1.1 Billion budget. Since her retirement in 2002, Meridith has managed her own public and community relations firm—Denise Meridith Consultants Inc (DMCI). DMCI provides a variety of services, including, but not limited to public affairs, business development, lobbying, journalism, media relations, and marketing. Meridith has a long history in public relations and in education, having developed and supervised public affairs and training staffs at local, regional, and national levels. She has developed communication strategies, hired and trained staff, and overseen development of hard copy and electronic collateral. She helped Arizona win public approval for construction of the University of Phoenix Stadium for its professional football franchise. Teaching is one of her favorite activities. Meridith has a BS from Cornell University and an MPA from USC. She has served as a member of Cornell University Board of Trustees, an online instructor for eCornell, an adjunct professor for Western International University, and as an ASU Fellow. Her awards have included Top 100 Phoenix Leaders, Valley’s Most Influential-Phoenix Business Journal, Minority Business Advocate of the Year, SBA’s Vision Award for Minority Business Development, and YMCA Entrepreneur of the Year.